The importance of trust has become critical in the communication area and not only. The PR landscape is inevitably becoming more and more open to the beats of change, especially coming from the digital world. Has the time come for PR to be uplifted? Taken this point of view and other aspects like the German industry, into an interview with Karl-Heinz Heuser, CEO Burson-Marsteller Germany. You are probably acquainted with the famous black swan theory developed by Nassim Nicholas Taleb (a metaphor that encapsulates the concept that an event is a surprise to the observer and has a major impact). Applying this concept to PR, what would you consider to be a black swan of the 21st century? The weakness of the financial markets and the inability of the industry as well as of politics to find a way of regulation. The financial markets lost a lot of trust and in their communications they were neither able to develop the right content nor the right formats to regain trust. It will take a long time until the financial system will be back in balance and the citizen will trust again. “Digital” is another topic: Even though it is not a scientific development in the strict ‘black swan’ sense, I see the whole digital sphere as such as a massive-impact event – meaning, it is not just the emergence of the World Wide Web that changed the game of PR completely, but more generally the way we link and interact with other people and organizations in the online world. Social Media are the new marketplace. A leading public relations agency (GolinHarris) is reorganizing its operations shifting from the generalist titles to the specialist titles like strategist and catalyst, in another example of how the communications industry is scrambling to adapt to the significant changes in consumer behaviour. Do you take this is as a sign that the PR industry needs big changes in its structure? 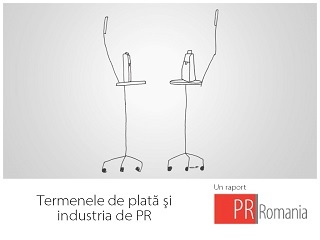 I believe that the traditional model how PR has been done in the last decades is over. The customers are requesting specialized and tailored communications programs to meet the different expectations of their target groups. Holistic communications programs will be single focused ones. The client expects industry know-how as well as communications know-how. It is not on branding or titles - it is on structure and developing content. This process started a few years ago and we, as Burson-Marsteller, are reflecting these needs in our practices and communication tools. Social media are driving this change additionally and communications will become more international in future. Given the fact that Burson-Marsteller operates in 108 countries across six continents, can we talk about general quality standards and how are they applied in different cultures? We have our quality standards and procedures in place and all our own offices as well as our affiliates are forced to respect these rules and regulations. As I always say: when it looks like Burson-Marsteller, it has to be Burson-Marsteller. For instance, we have a very strong focus on providing evidence-based and highest-quality services. Our common culture is about how we do our business, how we put our clients at the center, seek and provide evidence of our work, and how we deliver impactful and high-quality solutions that are digital, integrated, global and strategic. We all are committed to serve with the same high quality independent from countries and offices. We invest a lot in respective training to make sure that every “Burson-Person” is on the same track. Sometimes it is challenging, yes, but it works pretty well and is paying off. Your background covers over 25 years of experience. How would you characterize the German PR industry? The German PR industry is developing from traditional media relations to real communications offers. The differentiation between PR and advertising will not be done anymore through instruments. 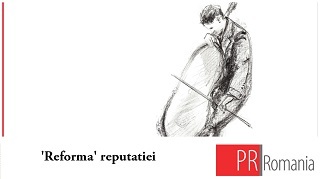 We use the same instruments as advertising agencies incl. paid media, commercials, events etc. The differentiation is through content. We are looking for the change of perception and behaviour instead of selling products. And PR is becoming more and more creative than it was before. What we are also seeing in recent years is that there is a big effort to professionalize the industry, by developing codes of conduct and professional education. As in many other countries, PR service providers have to prove their expertise and show evidence of what they can really do for the client. At the PR Forum event you talked about a crisis of trust that we are experiencing today. Can public relations play a definitive role in changing this situation and how? Yes, I think to generate trust is the key for companies’ development, for their role as employers and as good citizen. Trust-based behaviour is important for companies and institutions and it has to be reliable and honest. To communicate this behaviour is of course a function or better a mission, where PR can play an important role. And PR has to play an important role when it comes to developing long lasting reputation. 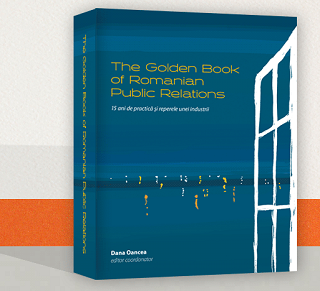 A recommendation for today’s Romanian PR professionals? Be honest and respect the role of free media and different opinions. Never ever make any sacrifices to quality. Provide the best level of service companies can buy and always think in terms of solutions, not instruments. Listen more to really understand what keeps your clients up at night and suspend your own agenda when talking to them. This attitude will help to develop a trusting relationship and make your clients come back for more. Karl-Heinz Heuser took up the position as Chief Executive Officer of Burson-Marsteller Germany in January 2005. He is one of Germany's most experienced and respected PR and Communications professionals. He joins from Weber-Shandwick, where he has been Chief Executive Officer of their German operations. Karl-Heinz career spans more than 25 years in Political Communications and in Public Relations. In 1985 he founded his own company, PR Bonn and PR Berlin, which 14 years later - counting two offices and 40 professionals - was acquired by Weber. Following the merger of Weber and Shandwick, he was appointed Chief Executive Officer of the new combined entity in Germany. He gave up this position after one year, but continued at Weber Shandwick as senior consultant and non-executive president. Over the years he has worked for clients such as McDonalds, Procter & Gamble, Coca-Cola, Lufthansa, Henkel and Siemens, both in Germany and internationally. He also developed and led various projects for German government bodies and continues advising cabinet-level officials and C-suite business leaders. To his management and business-building track record, Karl-Heinz adds an extensive expertise in Public Affairs / Government Relations, Issues Management and Corporate Social Responsibility. Karl-Heinz was teaching Communication and structural aspects of PR agencies at the Fachhochschule Hannover (University of Applied Sciences and Arts) for many years. In 2009, he successfully supported the Free Democratic Party (FDP) to get close to 15% quote and to enter the German government again. He was member of different juries such as PR Awards, Sabre Awards and European Excellence Awards. In 2011 he represented Germany in the Cannes Lions PR jury. Burson-Marsteller is represented in Romania by the agency Chapter 4 which was founded in January 2010 as an agencies network aiming to serve the Central and Eastern European markets. Besides the headquarters in Vienna, the agency has offices in Hungary, Bulgaria, Serbia, Bosnia – Herzegovina and Macedonia, and from January 2012 in Romania, and also works with local partners throughout the region. Chapter 4 is exclusively affiliated to Burson-Marsteller, acting as its regional interface in 11 countries in Central and Eastern Europe.